Patrick Bath is a writer, director, actor and musician who has worked professionally world wide for nearly twenty-five years. Ten of those with the Melbourne cult band The Dead salesmen. He co-created and performs in the Dirty Brothers critically acclaimed Dark Party that has performed at The National theatre London, sold out the Sydney Opera House and had successful tours of New Zealand, the Netherlands, Belgium, Spain, England, Scotland, Portugal and France. He is a member of The League of Sideshow superstars and a regular performer with The Australian Shakespeare Company. Roscoe Mathers has been performing circus skills and playing music in Melbourne, around Australia and in other parts of the world for nearly 20 years. Over the years Roscoe has performed as a clown and roving comic characters at countless festivals, corporate functions, parties and just about anywhere people gather. He has performed in a wide range of theatre troupes such as The 5 Angry Men, Born in a Taxi, The Australian Shakespeare Company and Havana Palaver. Roscoe plays guitar, trombone, piano, drums and duck caller. He can juggle, perform magic, sing and dance and ride a unicycle. Roscoe also uses Auslan (the language of the deaf in Australia) in an everyday context. He has trained at the John Bolton Theatre School, Circus Oz and N.I.C.A. (The National Institute for Circus Arts) and is currently teaching circus and clowning at VUT campuses, schools and corporations. An Amazing, Hysterical History of Australia! A mad-cap romp through the history of our nation. 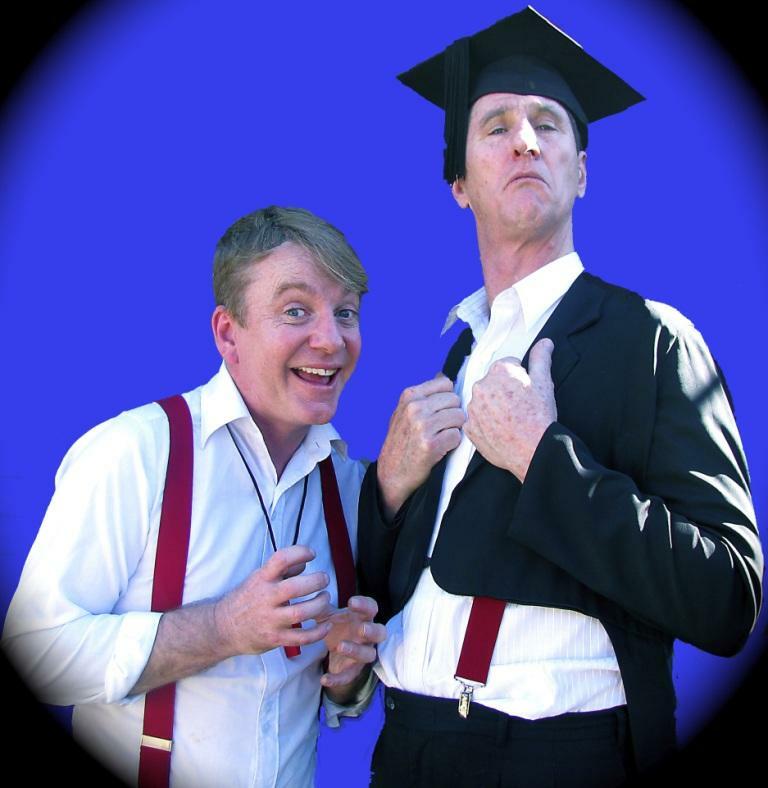 Leaving no historic stone unturned, The Professor and Neville tear from the Dreamtime to the present day at breakneck speed and in as much detail as you would expect when thousands of years are crammed into 50 mad minutes with singing, juggling and heaps of fun! Exciting, vibrant, sad and funny, our history is the most important story we share – Our Story.